Gidi Gidi, real name Joseph Oyoo, is considered one of the pioneers of Kenyan urban music. As part of the Gidi Gidi Maji Maji duo, the Luo rappers dominated the airwaves with hits such as ‘Unbowgable’ and ‘Ting Badi Malo’. However, life happened, and in 2005, Gidi Gidi Maji Maji was no more. 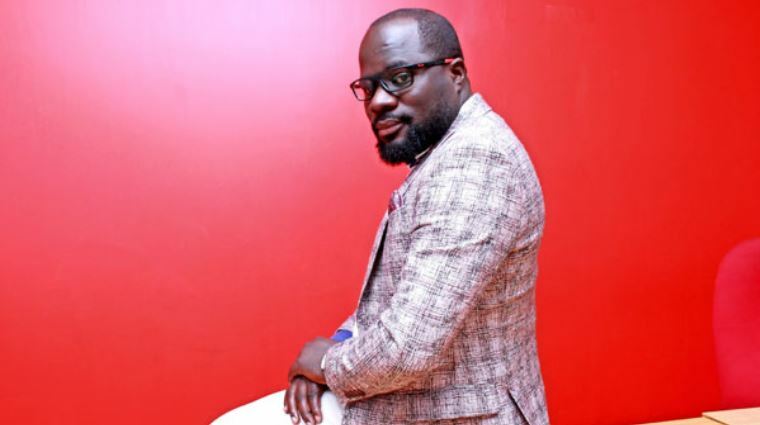 Gidi Gidi is now a radio presenter hosting one of the most popular radio shows in the country. He spoke to Buzz about his 20-year journey in showbiz and even spared some advice on how the local music industry can improve. Are there people who don’t know you were once an artiste? Yes, very many. We did our music a long time ago so the new generation of urban artistes don’t know that we are the pioneers of this industry. Our first hit was “Ting Badi Malo” which featured on Tedd Josiah’s compilation album, Kenyan Second Chapter in 1999. Then 2000 we did our first album “Is-marwa”, it had club bangers like “Ting badi malo remix” (Chwodho Style) and “Oruu”. In 2002 we did “Atoti” with the late Wicky Mosh which went on to become a big hit, even being used in advertisements. We also did “Unbwogable” in the same year which blew up when the Rainbow Coalition took it up as their campaign song. After that we landed a deal with South African Record label Gallo Records in 2003 and did “Many Faces” album with them. You guys broke up in 2005, what happened? Life happened to us. Maji Maji got married around that time and he had a lot on his hands. Life was also catching up with me so I had to adjust. I started music while I was still in high school, and at the height of our career I deferred my university studies for a couple of years. So around that time I also went back to school and got a degree in IT. It was around 2008. I was working at the UN as a software developer, when I met with Carol Radul at a sports event. I am very passionate and vocal about football so we would engage in heated debates. She saw the potential in me and invited me to join the then new sport FM station. There was no way I was going to leave a UN job to join a new radio station, but they pursued me and eventually I gave it a try. Ten years down the line, I don’t regret the move. I joined radio without any experience but I have learnt on the job, and today we are the number one morning show in Kenya. You have been in the Kenyan music scene for about 20 years, what has changed? In our time we really didn’t have music videos, even studios were hard to find. There is variety in the music and an improvement in the way artistes package themselves now. Revenue streams have also increased; we only earned cash from shows then. At least now there are ring back tones, endorsements, even the performance fees have really gone up. For artistes like Sauti Sol who treat their music like a business there are many opportunities, I just wish more acts would follow their example, instead of getting caught up in the hype. Music from your era, and those who came immediately after you seems to still dominate playlists and even over shadow some new acts, what would you say is the reason behind that? In our days we got a lot of air play, partly because it was the major source of music distribution but also because we didn’t have a lot of competition. When Gallo records signed us in 2003 we were one of the first African urban acts together with Skwatta Kamp from South Africa. They knew an explosion was coming in the urban music and they wanted to be part of it. At the time Bongo was big in Tanzania but it was still localised, and so was Nigerian music. The Kenyan music scene was also very competitive. We had Tedd Josiah, Ogopa DJs and Clemo’s Calif Records all churning out great tunes to outdo each other. With time, however, things have changed. There are more channels of music discovery that have in-creased access and competition from all over the world. MTV, Channel O and later Trace Music broke down the African boundaries and more foreign music has also entered the market. The campaign to increase Kenyan music on local radio continues to heat up and radio presenters have been blamed for the state of affairs what is your response to this? Only urban artistes are experiencing this issue, vernacular musicians know their space and understand their audiences. They give people exactly what they want and they are booked back to back. People need to understand how radio works. There is a music department that selects music and schedules the daily playlist. My work is just to talk and play what is already in the system, I can actually be fined and fired if I alter the pre-set list of songs. Every professionally run radio station has a laid down procedure for music selection that has been there since time immemorial. Back in the day, our songs went through the same approval process before they received airplay. When “Unbwogable” came out KBC outright refused to play it, because it was too political for them. At the time, Jimmy Gathu was in the selection committee for Kiss 100 and some of his colleagues were hesitant. There was a big argument and the committee was split right in the middle. So Jimmy bet that if the song was played it would be a hit in a week. True to form they played it and it was an unstoppable hit. We must realise that we have come of age; we are an industry now and every stake holder has a role to play. Yes, I agree the Media needs to find a way to promote Kenyan urban music, but the artistes also have a role to play. It is not enough to release your song online or to e-mail me and expect your song to be played. Although music is a way to express yourselves you need to make music that resonates with the audience. Find out what people want to listen to and package it so. Let’s also engage management that can facilitate structured dialogues among the different players, shouting at each other every time there is a problem will not help us in the long run.